"I have been using Metico Instruments since I was a resident. Metico has been my first choice for developing surgical instrument ideas. I am looking forward to Pelion Surgical continuing with the experience and high quality manufacturing capabilities I can rely on." Pelion Surgical provides a full line of hand-held ophthalmic instruments for eye care professionals. Designed after thorough research and developed with exceptional attention to detail, the following surgical instruments are of the utmost quality. 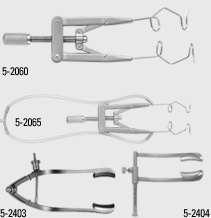 To learn more about our many surgical instruments, contact Pelion Surgical. Lightweight, durable, rust-free titanium handle. Ideal for clear cornea and small incision techniques. 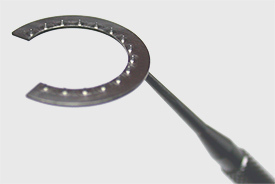 Diamond blade mounted at an angle for a comfortable approach to any incision location. 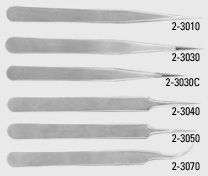 Spear and lance blades are available in any width, with or without sharpened sides. Custom blades available. 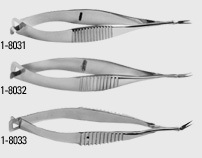 All forceps have laser-etched symbols corresponding to their tip configurations for easy identification. Our forceps and needle holders feature our ‘TNT’™, titanium-on-titanium gripping surface. This exclusive process creates a textured, but smooth surface, providing an unsurpassed grip without affecting suture or needle integrity. With tying platforms and ‘TNT’™ gripping surface. Plain, no tying platforms, with ‘TNT’™ gripping surface. With tying platforms and ‘TNT’™ gripping surface, 12mm, 1 x 2 teeth. With tying platforms, and ‘TNT’™ gripping surface. Round handle with smooth, flattened surface for position reference, tying platforms with ‘TNT’™ gripping surface. Round handle, 8mm diameter, smooth, flattened surface for position reference, tying platforms with ‘TNT’™ gripping surface. Cross-action, 3mm paddles with outside cross serrations. 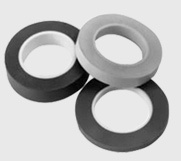 Designed to insert rolled and standard IOLs. Piersetype tip grasps and tucks haptic without having to switch instruments. Combines ease of direct action with control of cross-action, with lock. Fine, straight jaws with lock. Straight jaws with wide tips for added stability and control, with lock. 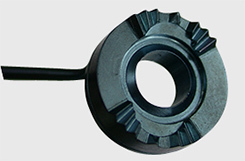 Cross-action jaws for slow, controlled release of lens. Highly polished, rounded angled jaws. Folds all types of foldable lenses. Protective hood keeps lens from popping out. Flat handle with iris stop. Round handle with iris stop. Unique curvature of jaws designed to perform a controlled capsulorhexis from the clear cornea incision without stretching the wound. Cystotome teeth with iris stop. Curved jaw. Flattened surface along handle for position reference with iris stop. Straight jaw. Cystotome teeth with iris stop. Pierse teeth, with iris stop. Decreases phaco time by dividing the nucleus prior to phaco. Tips penetrate the nucleus while pressure on the cross-action handles divide the nucleus. 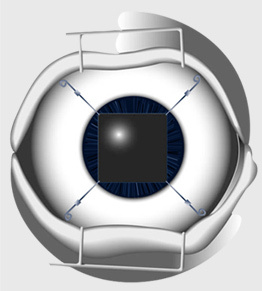 Several tip designs available for different lens densities. 1 x 2 teeth with tying platforms. Laser textured, 1 x 2 teeth. 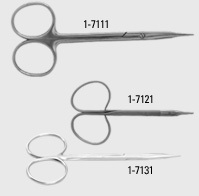 Our forceps and needle holders feature our ‘TNT’™, titanium-on-titanium gripping surface. This exclusive process creates a textured, but smooth, surface providing an unsurpassed grip without affecting suture or needle integrity. Hinge pin closure for greater tip stability, delicate tips. Hinge pin closure for greater tip stability, delicate curve. With 45º offset cutting wedge, rounded tip. For precise opening and control of lids. Features curved wire ends for patient comfort. Aspiration tip can be maneuvered in any direction allowing cortical clean up in difficult to reach places. Separate handpieces allow irrigation stream to always be directed horizontally away from the endothelium. Available with sandblasted tips for capsule polishing. Titanium handles, stainless steel tips. 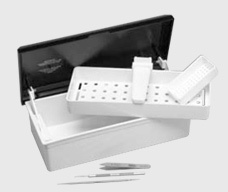 Sterilization tray, 63/4" x 41/4"
Call for special pricing on these convieniently packaged kits. Custom Kits Available! Hook and Loop design allows gentle insertion, and retraction with more control, and less trauma. Easier to remove than disposable models. Releases iris without sphincter rupture. No anterior vaulting of retracted iris so incision is not blocked. Microscopically engineered tapered hook is carefully crafted for iris and capsule safety. Securing lug holds hook in place on sclera without exerting pressure on the cornea. Re-usable titanium offers significant cost savings. Set includes four titanium hooks. Used after each surgical case will prevent a “protein build-up,” or film from forming on the diamond blade. Packaged in a sterile peel-pak. 10 per box. Made of durable Ultem™. Withstands repeated sterilizations. Mat is made of soft silicone. Small instrument tray, 6 1/2" x 4"
Medium instrument tray, 10" x 6"
Large instrument tray, 15" x 10"
Double-layer instrument tray, 10" x 6"
Accepts both glutaraldehyde and phenol based disinfectants. 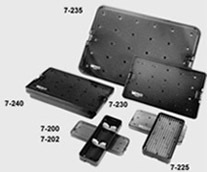 Inner tray with built-in handle automatically rises when the cover is opened, which allows the solution to drain. Date dial on lid reminds you when the solution should be changed. 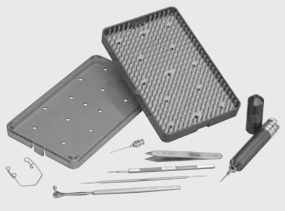 For exceptional cleaning of delicate ophthalmic instruments. Hi-reliable LZT Transducers, 45kHz. Modular, solid state generators. Automatic tuning to workload and solution level. Includes cover and built-in timer. Drain on all models except A7-4060. Safely cleans all diamond knives, stainless steel, titanium, and aluminum surgical instruments. Will not breakdown epoxy in diamond knives. Cleans and lubricates. Non-lonic, bio-degradable, environmentally safe. 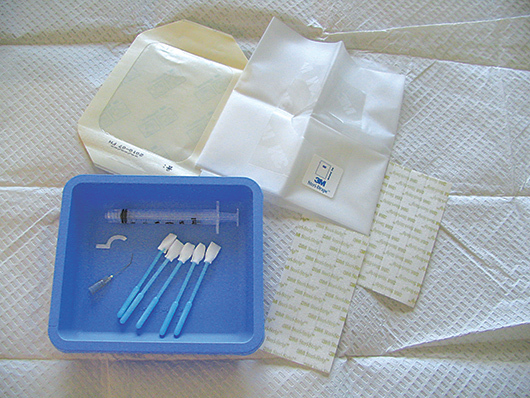 Fits Algerbrush II, packaged sterile, 10 per box. Protective tip covers for surgical instruments. Autoclavable. 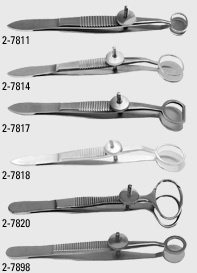 Available in a wide variety of colors for easy identification of surgical instruments. Able to withstand repeated autoclaving. 1/4" width, 250" per roll.